Hi all. Just testing Facebook links here. Feel free to join! Lots of people have joined this chat group during the past several months. Thank you and welcome. An interview of Matt Sernett on Dragon Talk came to my attention yesterday. I was particularly interested in the part dealing with Mystara. Skip directly to the 55:45 point (click here for the interview). I found it to be seriously lacking. Here’s what I have issues with. When asked about Mystara, Matt hesitated, obviously trying to think about something to say. He then stated “Mystara had some not so great products.” This is an awkward way of introducing an IP owned by his employer. The truth is that Mystara had a lot of great products. 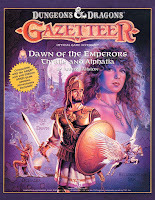 He failed to mention the flagship Mystara product line—the Gazetteers, which were hugely popular. 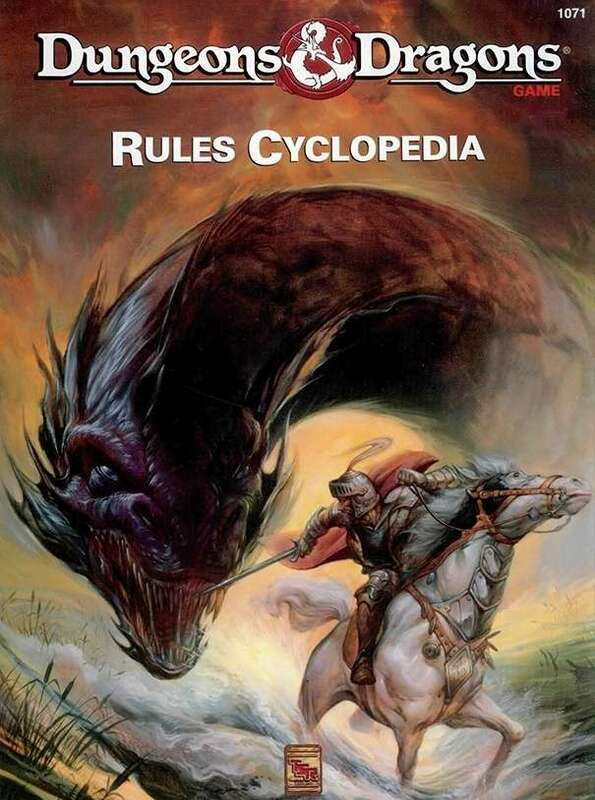 He moved right along with this statement: “[Mystara] leaned very hard into the sillier elements.” Mystara never was meant as a gritty, dark setting. It had several light hearted entries, but that’s not enough to tag the whole product line as “silly.” Nonetheless, those light hearted entries were popular with core Mystara supporters, and did well enough sales-wise. Alas, this interview involves someone who focuses on a narrow aspect of a series, while ignoring what made Mystara great and long lived at TSR in the first place. 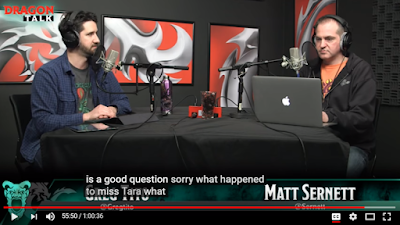 Matt then meanders at length about the development of the Red Steel setting under the AD&D banner, saying “[it] kinda showed a lot of that,” as an attempt to make his point about his perception of silliness, all the while admitting the setting wasn’t particularly silly a few seconds later. Why Matt brought up Red Steel as a way to characterize Mystara as a whole probably had more to do with his ignorance of the setting. Red Steel depicts a region of Mystara. As a matter of fact, the Know World core setting has nothing to do with it. Matt then goes on rattling off the idea of red steel as a cursed metal, the various non-human races of the setting, and its swashbuckling genre; in the process, he fails altogether to demonstrate what he felt was bad or silly. He doesn’t like the art. This is a matter of personal taste. There are plenty of Forgotten Realms’ entries with abysmal art in my opinion—clearly this does not mean that these products are all bad. Somehow, in Matt’s mind, that’s enough to warrant criticism however. I understand Matt is a former editor for the Dragon Magazine. I find it curious that he would bring up Red Steel's AD&D later development without realizing maybe (?) that it was originally designed in one of the most popular features of the Dragon Magazine, the Voyage of the Princess Ark series. More than one subscriber stated they kept buying the magazine mostly for this series of articles. It too was somewhat light hearted and quite popular back then. It's where Red Steel came from. Matt moves on to the audio CDs, which were an experiment TSR’s CEO forced upon the AD&D portion of late-years Mystara. These CDs weren’t at all representative of the bulk of the product line, something Matt continues to fail to bring up. But even then, his criticism of the audio CDs falls flat. Matt makes fun of the actors’ accent imitations, somehow having an issue with their flamboyant style (it’s a swashbuckler setting, remember?) I could think of a number of other things to say about these accessories; the voice impersonations are not an issue. Matt returns to the matter of artwork in the AD&D Monstrous Compendium. Again, it’s a matter of opinion. 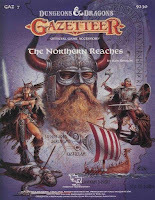 If Matt knew anything at all about art in Mystara, he should have had a look at the Gazetteer covers by Clyde Caldwell and the illustrations by Stephen Fabian. Those were certainly a lot more meaningful and representative of Mystara than the one-off MC that he personally disliked. Matt goes on to say that product lines at TSR were aiming for the dark gritty style (Dark Sun and Ravenloft), assuming this was the only correct way of developing campaign worlds, because in his view, “everybody” was going for that style at the time. Gotta love that lemming mentality I guess. So then, how was it that Forgotten Realms didn’t also turn into a vampire/werewolf/zombie-palooza? Mystara was a mainstream, high fantasy setting aimed at a long-established fan base. 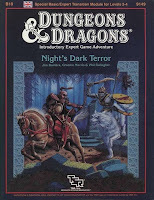 Ravenloft and Dark Sun were later entries in TSR’s lineup, respectively 1990 and 1991, whereas fourteen Mystara Gazetteers had already been in print by that time. It would have been silly to “darkify” Mystara at that point. 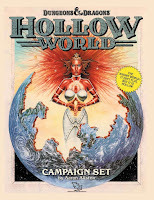 Matt then brings up the issue of Spelljammer as being another demonstration in silliness, which he claims “wasn’t something people wanted.” (Oh, really?) The interviewer intervenes and justly points out that Spelljammer was nonetheless very popular. (So much for not being dark and gritty.) And Matt instantly agrees—wait, what? I guess he didn’t really mean what he just said, or maybe it was okay for Spelljammer to be light hearted but not Mystara? For that matter, Mystara was indeed popular. It was one of the older game worlds at TSR, and it survived because of decent sales. It did well despite the fact that the original setting was written for the Basic/Expert sets, which was a challenge in itself. In this respect, Mystara very much accomplished the job it was intended for. A good number of AD&D players picked up the setting anyway, because they felt is was pretty damn cool, in fact. So much for not being what people wanted. After the interviewer’s more even-handed remarks, Matt finally admits that he was only blaming “a couple of products really, but, umm, there’s lots of great stuff in Mystara.” (Well, how about that?) How did we get to this admission from the opening statement about Mystara having not-too-great products? 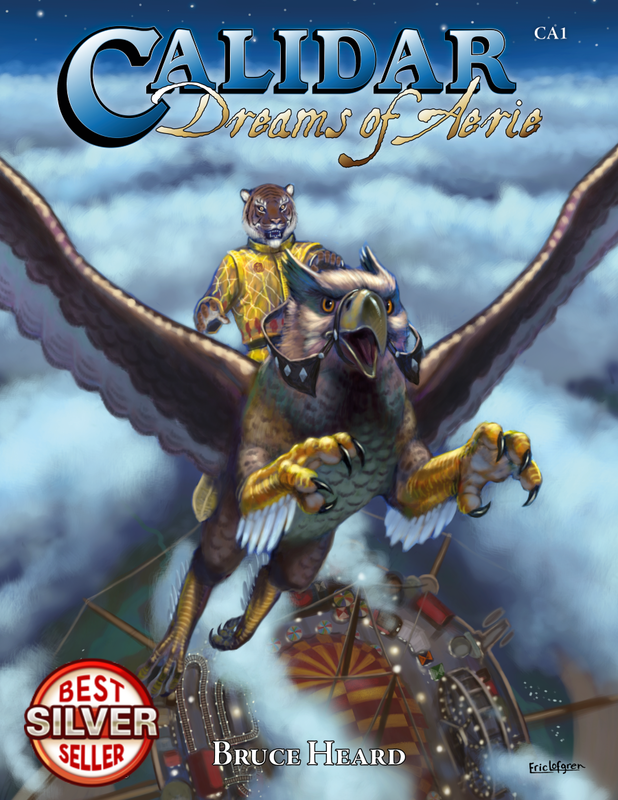 Why did Matt not bring up core Mystara products, focusing instead on half-baked criticism? I suspect his personal bias and ignorance have something to do with it. This becomes evident when he states that Mystara has “a weird crossover with Greyhawk.” Matt meanders some more on the issue of Mystara’s origins, bringing up Arneson, Blackmoor, and then Mystara becoming its own thing. That was all pretty clueless. For the Record: The Known World was originally described as a brief summary in the Expert Set. The setting’s core was developed directly from that small part, which led to the popular Gazetteers. Arneson’s material came in after the Expert Set’s release, as a result of TSR’s lawsuit settlement, which led the company’s management to want to incorporate Blackmoor to the Mystara setting. The reason was to keep any Arneson connections away from the AD&D IP for obvious legal reasons (and especially away from TSR’s Greyhawk, which sat ostensibly in Gygax’s copyright sphere). 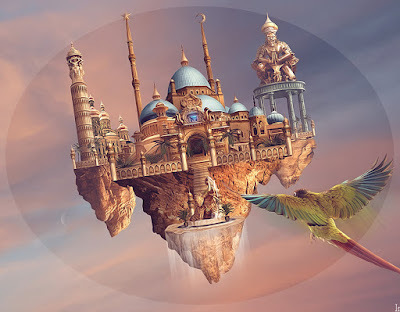 Blackmoor was therefore retrofitted to Mystara and positioned centuries before the Know World’s timeline, since Blackmoor and Mystara had nothing in common. This happened around 1986, and involved all of 4 accessories (compared with more than 40 core BECMI/Mystara titles). Matt then goes back to the audio CDs, claiming they were developed around that time. No they weren’t. They came up about 10 years later, around 1994, after Mystara was relaunched under the AD&D banner. All in all, this was an inappropriate way to describe Mystara. It seems to me Matt would have been better off declining the opportunity to speak about something he clearly knew too little about. The interviewer and the interviewee could have coordinated this better. Either this, or there was an intent to criticize gratuitously from the beginning. Either way, based on the reactions of present Mystara fans, the interview is quite poorly received. This does nobody any favors. Fans are upset. Matt appears as incompetent on the subject and rather tone deaf. The podcast disseminates misleading information to say the least. This could have been done much better. Is it a policy at WotC to shoot itself in the foot about IPs it owns? This makes no sense to me. While I described a flying city in my current project, On Wings of Darkness, I dwelled upon ideas about how such marvels might be built. Here's one way, presented below, that helps explain how they work. Although this material is intended for the World of Calidar, it may be used pretty much as is with the World of Mystara. Let me know what you think. Thanks! Levitium is a magical gas native to Calidar. In its natural form, it binds with fine grain, metamorphic minerals broadly known as cloudstones. It is believed that levitium is related to Calidar’s world soul, the result of high pressure and heat permanently binding its magic to the mineral. Similar in appearance to white, blue, gray, or black marble, it can be carved and polished, but it is a bit more brittle than true marble. Levithium alters the physical properties of objects with which it is bonded, causing them to levitate. Its concentration determines how high these objects may rise through the atmosphere before settling at a certain altitude. Cloudstones can lift additional weight (such as man-made structures, living beings, hardware, ice, snow, etc.) up to what their unenchanted mass should have been, without adverse effect on attainable altitude. Excess weight reduces altitudes cloudstones can reach. Loads twice a cloudstone’s unenchanted mass prevents it fully from rising. Additional enchantments or air anchors are often needed to stabilize cloudstones and prevent them from rolling over or drifting. Cloudstone deposits generally lie deep below ground. Seismic activity may accidentally release cloudstones, often leaving rubble-filled chasms or lakes where a deposit was exposed. During eons of Caldwen’s existence, many such monoliths have risen and now wander the skies at the whims of winds. It isn’t always easy to tell natural clouds from these boulders as they often fly at the same altitudes. With time, they erode, break apart, and lose their levithium, gradually returning to the surface in an endless cycle. Most of the cloudstones in Caldwen and Araldûr have already been extracted. Few other regions operate mines, especially in Narwan and northern Belledor. The business of salvaging airborne monoliths is brisk, lucrative, but dangerous because sky-dwelling monsters or pirates may have already claimed them. Wind storms sometimes drive cloudstone debris, peppering imprudent skyships and their crews. Other vessels actually use nets to capture wandering rubble, like they would fish in the sea. Naturally, the greatest deposits of cloudstone still lie beneath the Dread Lands, largely untouched. Natural cloudstones, especially if mined from pristine deposits feature the best concentrations of levitium. Caldwen’s capital city’s Upper District is built with large blocks and slabs of mined cloudstones. Small stones and gravel may be ground and made into bricks and cement. Cheaper, but less effective, these are used predominantly in Arcanial’s Middle District. Levitium can otherwise be extracted from cloudstones. Mixed in an alchemical solution, it can be absorbed in dry softwood, like pine, such as that found in the Lower District. It is the cheapest levitating product, but also the least effective and durable. This process is incompatible with hardwoods and metals, from which skyships are generally constructed. 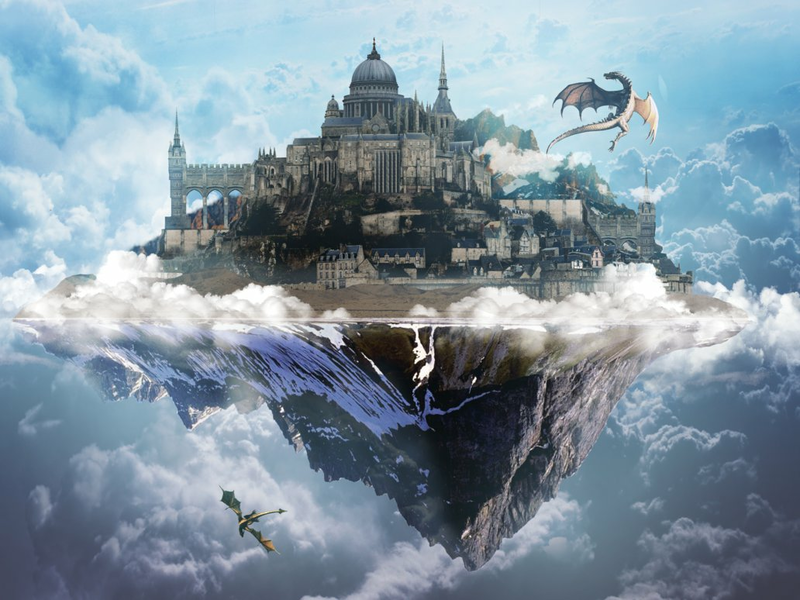 Navigating vessels, therefore, require separate enchantments to enable flight, which is a lot more expensive considering time, skill, and the number of spells needed. Some monsters on Caldwen are naturally imbued with levitium, which flows in their flesh and blood. These creatures consciously master their levitation abilities, vectoring it in order to control their flight despite the absence of wings or other propulsion method. Some are better than others. Their blood may be used as a component for potions of levitation.